A judge's decision letting Colorado's pro-abortion governor direct tax funds to Planned Parenthood and other players in the nation's abortion industry, even though taxpayers in the state specifically banned that action, is being appealed. "The democratic process and the rule of law should not be sacrificed for the sake of benefitting Planned Parenthood's bottom line," said lead counsel Barry Arrington, one of more than 1,600 attorneys in the ADF alliance. "The governor and other state officials are not at liberty to ignore the will of the people on this matter. Colorado voters amended the state constitution to prohibit tax dollar subsidies to abortion providers, so it's the right decision to take this to the court of appeals," he said. WND reported in 2008 when the original lawsuit was filed, alleging Gov. 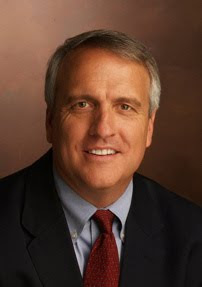 Bill Ritter was violating the state's constitution. The complaint cited state payments of $18 million to Planned Parenthood and another abortionist, despite a Colorado constitutional ban on taxpayer funds being used "directly or indirectly" for abortions. The Denver District Court lawsuit action was brought by Arrington, who is affiliated with the Alliance Defense Fund, on behalf of taxpayer Mark Hotaling, who leads the Christian Family Alliance.